So... With all three of my kids attending some sort of school this year, I am going to have three parties I will need goodie bags for this year. I am on the hunt for some really cute goodie bag ideas. This is what I have come up with so far. 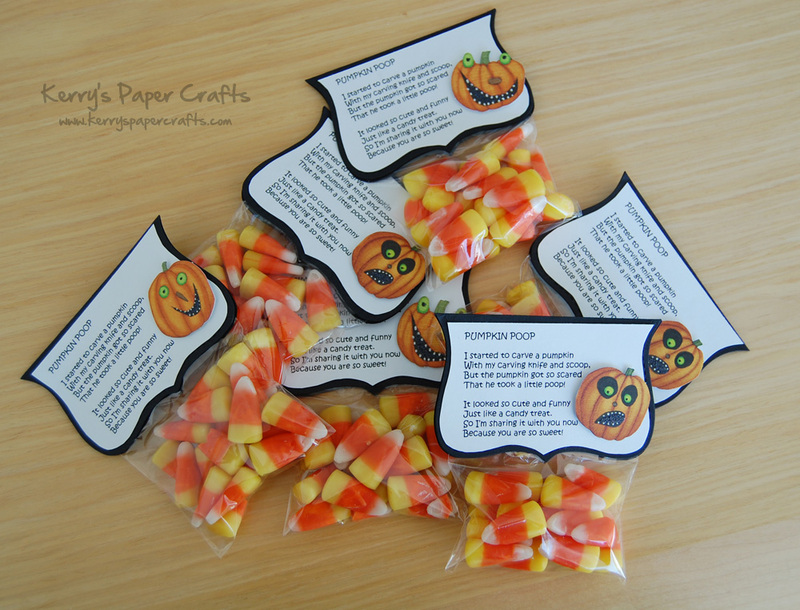 This next one is one of my favorite and I will be making these in the next few weeks for my kiddos fall parties at school. I found this at Kerrys Paper Crafts and its pretty simple really. This is what they look like and the saying makes them even more cute. -Stickers or whatever else you might need to decorate these. 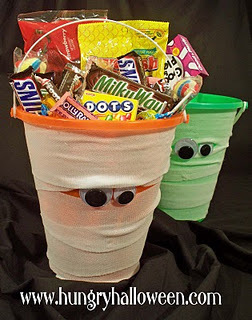 Over at Hungry Halloween they have a super cute idea for mummy buckets. These are SOOOOO cute and SUPER easy!! They have a really great tutorial as well but this is an easy craft too. And that's it.... Some super cute stuff huh? 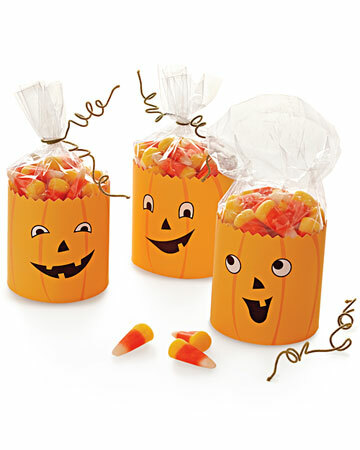 I love all of these goody bag ideas! Perfect for Halloween parties! some great goody bag ideas! Thanks so much for sharing:) I am a new follower. I love your blog!! 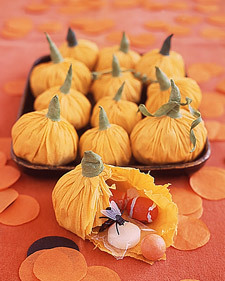 I love those little pumpkin pouches-how cute! These are such great ideas!!! Jenny your site is very cute.. I love finding new sites. I am a new follower. So many great ideas! Thanks for sharing at Taking A Timeout Thursday! Hi Lynn! I stumbled upon your blog and was happily surprised to see my Halloween treat bags! ;) Thanks for featuring them and I'm so glad that you love them! Thanks for linking up last week- this was one of the top viewed mommy solutions! These are awesome idea! I'd love for you to pop over and share it in Mommy Solutions! These gave me a good laugh. I love the mummies and the crate paper pumpkins. Thanks for sharing at Mom's Library!